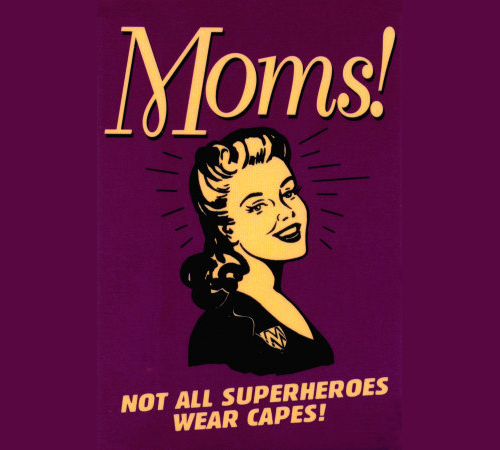 I am a mom with a passion for reviewing products, finding deals, and saving money in the East Tennessee area. Fall is my favorite time of year! 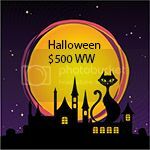 Enter the giveaway below and your Fall decorating could be even better this year with an extra $500. Joys Of Life, Empowered Mommy, Pregnancy Forum have teamed up with many other awesome bloggers to bring you this fabulous giveaway this Halloween. What are your plans this Halloween? How do you usually celebrate Halloween? We would like to know if you have any spooky stories to share! With all the stories you have to share we are giving you a chance to win $500 cash. 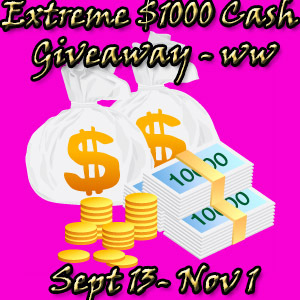 You can do anything with the winning cash, enjoy something that you have been waiting for. 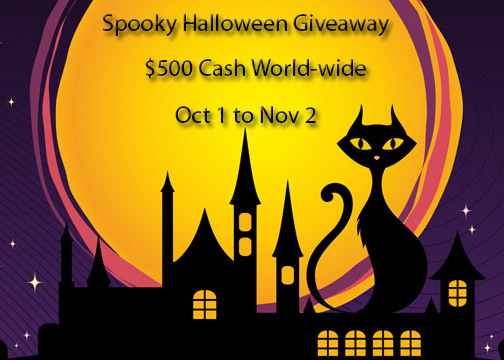 ONE lucky winner takes home $500 Cash by the end of the giveaway! 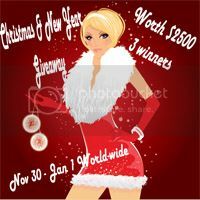 prize amount has been covered by the hosts of the giveaway! and runs from October 1 to November 2. Disclosure: I was not compensated for this publication. All views are my own and may differ to than that of yours. YOUR BLOG NAME HERE is not responsible for the prize fulfillment. Joys Of Life, Empowered Mommy and Pregnancy Forum have teamed up with many of the awesome bloggers to bring you a tremendous giveaway! 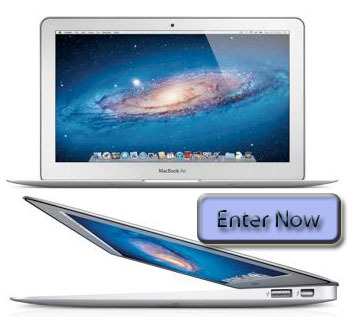 I personally own 2 Macbooks 13-inch and 15-inch and I love my Macbooks. It's just that when I first started to use macs I had a bit of trouble as I wasn't used to, but now I am pro. and runs from September 17 to October 17. DISCLOSURE: I was not compensated for this publication. All views, opinions and impressions are my own and may differ from that of yours. My Life As A Momma is not responsible for the prize shipment. Life is good for Cary Anne Warren - until she arranges a vacation for her adoptive parents. Now they are dead and she faces the future alone. In New Orleans, the hunt for birth relatives turns up a mysterious hit-and-run cold case that occurred 25years ago - was it an accident or a killing? Cary appears to be the only one who cares. Clues lead to the halls of government, and with politics involved, the young woman's timing is crucial to unknown and powerful adversaries. A male co-worker inexplicably offers to help in her quest. Cary is surprised at her attraction to this man and at the same time skeptical about his motives. Even with his support, Cary questions her resolve as dark forces threaten to close down her search at every turn. Those who would stop her will use any means available , even murder. But Cary's enemies have not counted on her tenacity. With her unforeseen allies, she could potentially topple the local government and alter a race to the White House. Ultimately, all of her courage and persistence are needed to withstand the oncoming chaos that her investigation has unleashed. I recently received a copy of A Letter to Die For by Joe Shumock. I want to start out by saying that I LOVE reading books by local authors! Cary, the main character in the book, is from Knoxville TN and attended the University of Tennessee. I live only an hour away from Knoxville, and I love how I can relate to the places mentioned in the story. Shumock does an excellent job at creating suspense in the story without being too over the top. Every chapter I read made me want to read more and more. One of the great things about this book is that it is written without any foul language or sexual content. 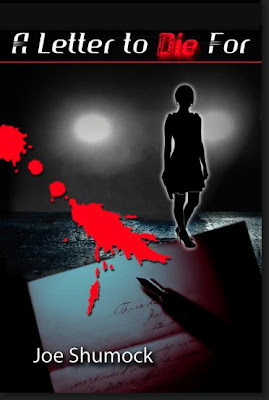 I would recommend A Letter to Die For to readers who like mystery and crime novels. A Letter to Die For is the first book in the Letter Series novels. The characters in the book are easy to relate to, and by the end of the book you can't wait to find out what is going to happen next. The first chapter of the next book in the series, The Lost Letter, is included at the end of the book. After reading this I can't wait to get my hands on it as soon as it comes out. Disclosure: The opinions expressed in this review are my own and may differ from that of your own. I have received no monetary compensation for the review. and runs from September 13 to November 1. Disclosure: I was not compensated for this publication. All views, opinions and impressions are my own and may differ to than that of your. My Life As A Momma is not responsible for the prize. Mom Powered Media Proudly Presents The Baby Year Event! Here's what one lucky person will win! A year's worth of diapers! Wow we all know how expensive diapers can be and this prize will save parents money that they can to put other necessities or whatever they want. Infantino Lil Lion's Happy Hangout Gym has a super soft mat with unique textures. It is for babies between 0 to 5 months. This gym includes five detachable activity toys and musical peek a boo mirror. This would be great to keep for yourself, or give as a gift! I love the symbolism in this piece of jewelry. Juno Lucina has been the symbol of childbirth for over 1000 years. She is the Roman goddess of childbirth and she protects mothers and their newborn babies. This pendant resembles Juno Lucina's hands that are cradling and protecting the heads of both the mother and child. Check out their NEW website for more symbolic gifts, the story behind them, and a discount code! These make great "push presents" for the new mom in your life. 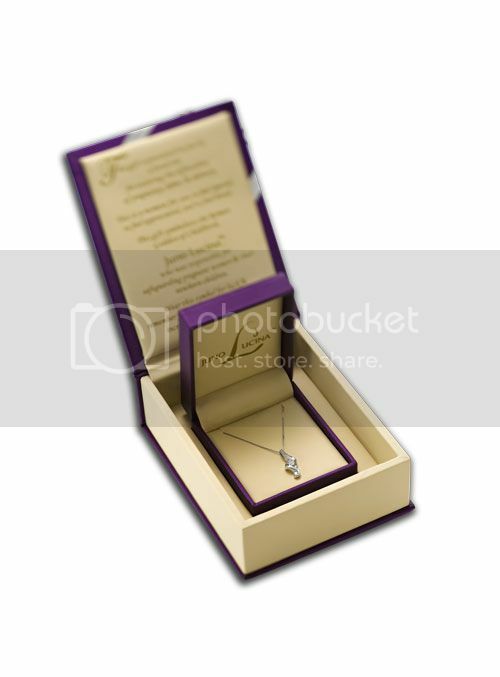 GIVEAWAY: one lucky winner will get the Juno Lucina Signature Pendant! 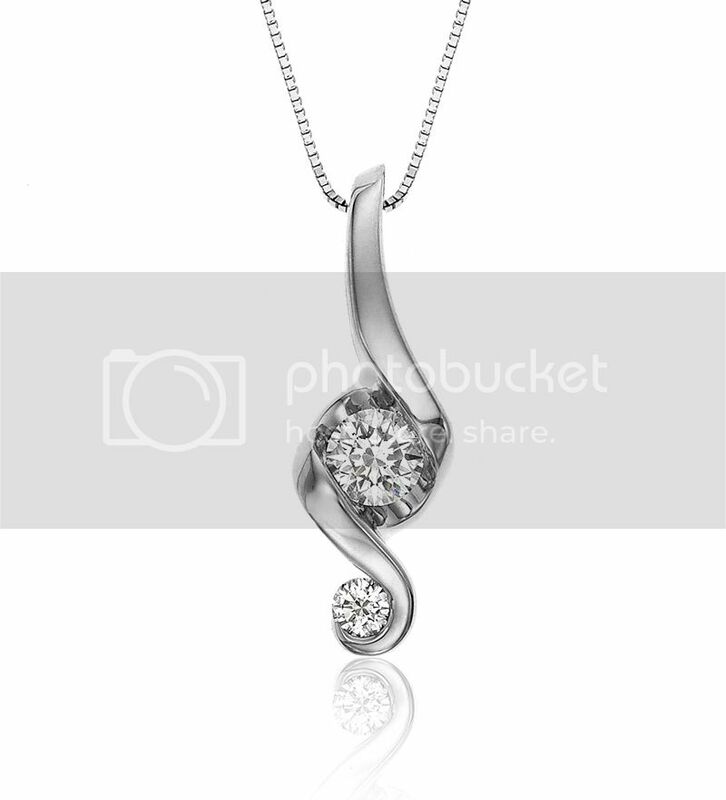 This gorgeous piece is 14K white or yellow gold and has a total 1/5 carat weight with natural diamonds. Retail price is $499. Please use the form below to enter--there are no mandatory entries so do as many or as few as you'd like. Ends September 10th. Thanks to Emily at Baby Dickey for organizing this giveaway! You can read her personal review of the Juno Lucina pendant on her website. -disclosure: I am not affiliated with Juno Lucina or Baby Dickey in any way, nor did I receive product or compensation for this post. 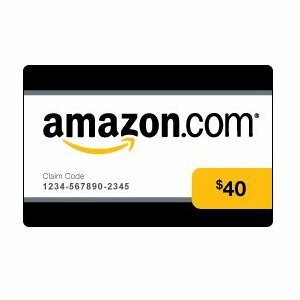 By posting this, I am entering into a referral contest for my own pendant from Juno Lucina. Gift Hulk is another great way to earn rewards! Cal Bradley just wants his life to be normal. He wants to complete his history project--not travel back in time and become part of it. He dreams of being Most Valuable Player for his middle school basketball team--not causing his rival never to have been born. And he longs to forget about the eighteenth-century pirate that he accidentally caused to time-travel. Instead, Cal must risk his life to save him. When Cal finds an old wooden box, he has no idea that it hides a special gold medallion that is about to change his life forever. The medallion seems to have a mind of its own, and certainly has all kinds of plans for Cal as it takes him and his friends on a journey that they never could have imagined. Along the way, Cal learns about himself, about helping friends, about taking responsibility. And he discovers that even his enemies are real people, too. I recently received a copy of Quimbaya written by Dianne C. Stewart. 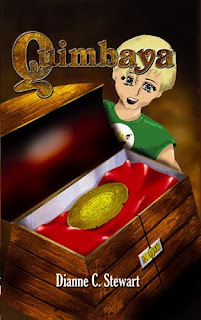 Quimbaya is a book for young readers. I love that the book is interesting and has a great story without any questionable material. There is no bad language or adult situations. The story also has a theme of responsibility. Cal realizes by time traveling and changing events in the past that he has changed things in the present also. He learns the lesson that he has to take responsibility for his actions. 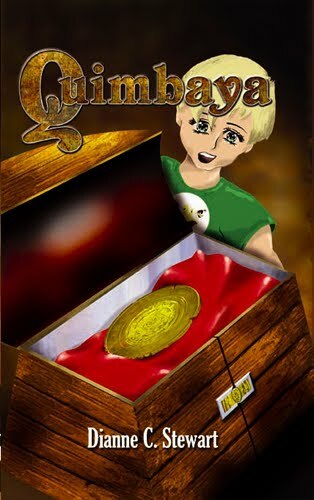 I recommend Quimbaya to parents who are looking for books for young readers. However, this does not mean that the parent's won't enjoy the book too. I have found that most books written for young readers are too simple for adults to enjoy. This is not the case with Quimbaya . Stewart does an extraordinary job at writing a complex and interesting story that young readers can follow and all ages can enjoy. Quimbaya is the first book in The Quimbaya Trilogy. The second book is titled Season of the Cold Moon , and the third book is titled Longitude: Zero Degrees . 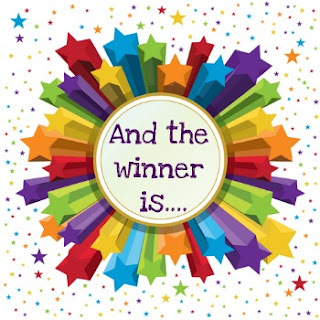 Shelly's Bowtique Hair Bow Giveaway Winner! CONGRATULATIONS to Amy Michelle Williams! She is the winner of the 2 hair bows from Shelly's Bowtique. UniqueVanities.com has some really neat stuff! UniqueVanities.com is a unique e-boutique that prides itself on not only have the largest selection of individual and truly unique bathroom vanities and fixtures, but also the best client experience available on the web. 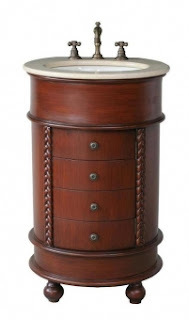 We strive, with each client, to return to the sales process of the "five and dime," where not only did associates know you by name, but they were genuinely interested in helping you find the perfect item for your project--whether you bought from them or not. Open to entrants Worldwide! All entries will be verified. Disclosure: I received no compensation for this publication. My opinions are my own and may differ from yours. My Life As A Momma is not responsible for sponsor prize fulfillment. Krispy Kreme! Dozen doughnuts 75cents! The Grainger County Tomato Festival! To order contact Joy Thornton at jo.de.crafts@gmail.com or 865-947-2473.